Aiming straight for the iPad mini, the Iconia A1 comes with a similar screen size and resolution. The new tablet has a 7.9-inch IPS display with 1,024 x 768 resolution and a $169 price tag. 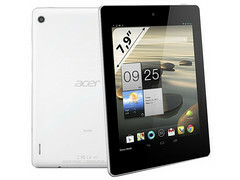 Though Acer has yet to issue an official press release, the company has unveiled its Iconia A1 tablet at a New York City press event. Sporting a 7.9-inch IPS display with 1,024 x 768 resolution the tablet will be sold for an admittedly low $169. The Iconia A1 showed up earlier this month in France and according to the leaked info has a Mediatek MT8125 1.2 GHz quad-core processor inside. Other alleged specs include 16 GB system memory, 1 GB RAM, microSD (up to 32 GB), 5-megapixel camera (0.3-megapixels on the front), and running Android 4.2 Jelly Bean. 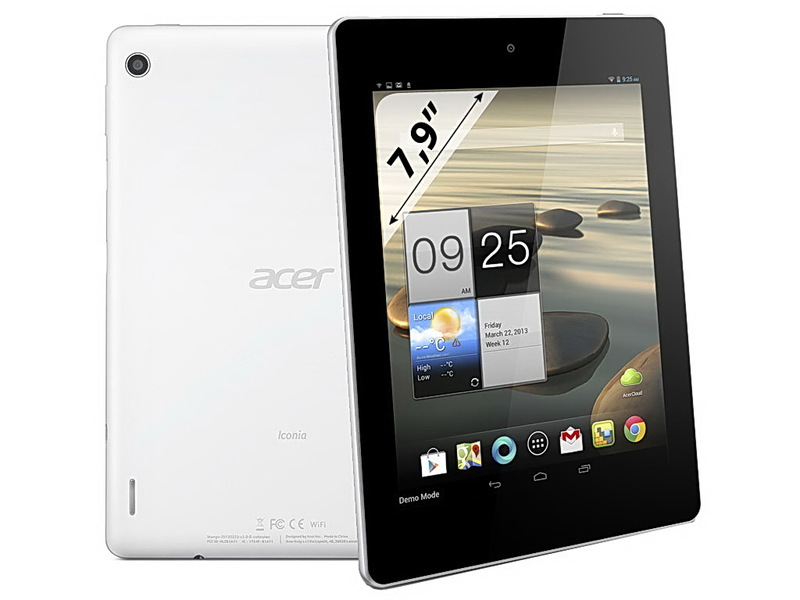 Apparently, the Acer Iconia A1’s dimensions are 208.7 x 145.7 x 10.5 mm and weighs in at 410 grams. Additional specifications consist of stereo speakers, Wi-Fi, GPS, Bluetooth 4.0, microUSB 2.0, and a 3250 mAh Li-Polymer battery. Another pleasant feature is the (possible) inclusion of a mini HDMI port. According to TechRadar UK there’s also a 3G option which will cost £209.99 (around $287/AU$280). We will update this article with the official specs as soon as Acer makes them available.